As part of an ongoing effort to inform North Carolinians about the upcoming judicial elections, Policy Watch is publishing a Q&A with each person running for a statewide judicial office. Each of the 11 candidates was asked the same six questions, and their answers will appear throughout the week alongside those of their challengers. North Carolinians will get to decide in November who the next justice on the state’s highest court will be. There are three candidates seeking a spot on the bench: the incumbent Barbara Jackson, veteran civil and voting rights attorney Anita Earls and a newcomer, Raleigh attorney Chris Anglin. The court is currently made up of the chief justice and six associate justices. Each justice serves an eight-year term. The court is the last stop for litigation involving decisions of state law. Some high-profile cases taken up by the state Supreme Court include redistricting disputes, a separation of powers battle between the Governor and the legislature and a fight between the state Board of Education and the state Superintendent over who has control of the state’s $10 billion public school system. *A note about the Q&As: Candidates were not given instructions about the length of their responses, and they have only been edited for grammar. What characteristics do you believe make a good judge, and why should North Carolinians vote for you? Fairness, impartiality, integrity, and a commitment to adherence to the rule of law all are essential characteristics of a good judge. During my almost fourteen years on the bench – six at the Court of Appeals and almost eight at the Supreme Court – I have worked hard to live up to each of these principles, gaining invaluable first-hand experience, which is why I am asking the citizens of North Carolina to re-elect me. In addition to authoring hundreds of opinions covering such diverse topics as criminal law, administrative law, land use law, and business law, I have been actively involved in the Bar seeking to improve our court system for citizens, lawyers, judges and court personnel through improved use of technology. Prior to joining the Court of Appeals in 2005, I had practiced law for over 14 years. The Supreme Court of North Carolina is our state’s court of last resort. I am the only candidate in this race with judicial experience, and the value of that experience, the insights gained by working with numerous other judges and justices over a decade is difficult, if not impossible, to duplicate. 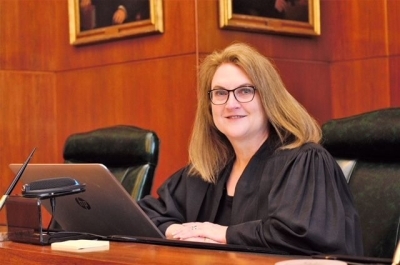 Although I began my career as a law clerk at the Supreme Court and knew generally what the job entailed, there still is a steep learning curve transitioning from being a practicing attorney to serving as an appellate judge. Even making the move from the Court of Appeals to the Supreme Court is a very significant difference given the fact that the Court of Appeals is an error correcting court and the Supreme Court is our court of last resort. I made this transition almost eight years ago. The combination of both the knowledge and the experience I have gained serving as a judge for almost 14 years, authoring hundreds of opinions, and participating fully in the administrative work of the Court is impossible to substitute. How will you balance being an independent judge and an elected official? I am the only candidate for Associate Justice with any judicial experience, so I understand this distinction well. This is the third time I have had the opportunity to run statewide for election as a judge. The first two times, the races were nonpartisan, and public financing was still available. This time, we are running with our party affiliation on the ballot and without public financing. Running a political campaign, whether partisan or nonpartisan, candidates interact with political supporters. In my case, I have been honored to have strong bipartisan support in all of my races. Based upon my experience, I know how to make the transition from judicial candidate to judge. It is my judicial philosophy, not my political affiliation, that guides my independent decision-making on the bench. When I decided to run for office as a judge, I took an oath to uphold our state constitution and the United States constitution. Being a judge is different than being a member of the General Assembly or serving in the Executive Branch. Alexander Hamilton famously wrote in Federalist 78 that the judicial branch was the “least dangerous” because we have neither the power of “the sword or the purse” … “neither FORCE nor WILL, but merely judgment; and [we] must ultimately depend upon the aid of the executive arm even for the efficacy of [our] judgments.” I think there’s more to this than what Hamilton wrote, though, and I think this is why it’s critical to elect judges who both understand and appreciate the role of judicial restraint. When we deal with a dispute, or a case, in the Supreme Court, we are looking at what we call a cold record on appeal, and attorneys present their best arguments to us, telling us why the law favors their client. In contrast, when the legislature is looking to pass a bill to address a problem, or clear up confusion, they can deliberate, debate, bring in experts, establish study commissions, or employ a whole host of other tools to examine the problem and its public policy consequences. Our roles are equally important, but completely different. I can’t overstate this: Judges must exercise judicial restraint. It is our job to follow the law, not make the law. My record of authoring hundreds of cases demonstrates that I understand the difference. Who is a judge responsible to, or what is their ultimate authority, and how do you view the appropriate balance of power amongst the governmental branches? My ultimate authority as an elected judge is to the people of North Carolina and to the rule of law, as set forth in both our state and federal constitutions and laws. Our state constitution’s Declaration of Rights, Article I, Section 6, contains a mandatory separation of powers clause which states: “The legislative, executive, and supreme judicial powers of the State government shall be forever separate and distinct from each other.” During my time on the bench both at the Court of Appeals and at the Supreme Court, I have had the opportunity to participate in a number of cases looking at the balance of power amongst our government branches, often interpreting the separation of powers clause. All of those opinions are published and available for review by the public. Because the Supreme Court continues to review disputes regarding the appropriate balance of power between the governmental branches, and in fact, currently has cases involving these issues on our docket, it would be inappropriate for me to address this question in further detail. What are the biggest changes you think North Carolina needs to make to its judicial system? I believe we need to continue to modernize court technology, including implementing electronic filing in all of our trial courts. Because of the size of our court system – 100 counties, over 500 elected officials, over 600 appointed officials, 6500 judicial branch employees, and ten million citizens – this is a monumental undertaking. In 2015, Chief Justice Mark Martin established the NC Commission on the Administration of Law and Justice (NCCALJ). The Commission was comprised of five committees, including Civil Justice, Criminal Investigation and Adjudication, Legal Professionalism, Public Trust and Confidence, and Technology. I was honored to chair the Technology Committee, which was charged with developing a strategic plan for court technology over five years. In June 2018, we implemented an important first step: a new website implementing mobile first technology designed to serve the 3 million visits we receive each year, over 1.5 million of them from mobile devices. This site contains important features that were not available in our previous site including: a “learn” section that provides more information about the courts and court processes, a series of “about” and “help” videos, a new section with 24 help topics, data visualization of court statistics, and key webpages translated into at least the top five languages most in demand for court services. Over 60 subject matter experts worked on the site and staff from the Equal Access to Justice Commission were a central resource. This new website is an important first step and will provide a much more user-friendly experience for all of our stakeholders, but we must do more. It is imperative that we leverage technology for the benefit of all of our citizens in order to make it easier to interact with and transact business with the court system. How do you define injustice? The Merriam Webster dictionary defines injustice as the “absence of justice” or “violation of right or rights of another,” or “unfairness.” I think that’s a good starting point. Injustice is the antithesis of what we strive for in our courts. Our touchstones are justice, the protection of rights through the rule of law, and fairness. Regrettably, we do see examples of injustice, some of which we are able to remedy and others which we may not be able to rectify. If a trial is conducted in an unfair way or there is a lack of compliance with the rule of law, generally courts can remedy the wrong. It’s always frustrating, though, when we confront situations when we cannot right the wrong. For example, when there is an absence of a legal remedy, or there is a disparity of resources between the parties, or something that we see more and more of when individuals of modest means lack the ability to obtain representation. I’m very proud of the work of the Chief Justice’s Commission on Professionalism and what they are doing to address some of these issues, along with creation of the Pro Bono Resource Center. The Pro Bono Honor Society recognized 170 attorneys in 2017 who had reported at least 50 hours of pro bono service in a given year. The University of North Carolina Law School was the first law school to achieve 100 percent pro bono participation. As law students understand that pro bono service is part of their commitment as a member of the legal profession, we have greater opportunities to address injustices in the legal system. How will you work to ensure equal access to justice for all? As I mentioned above, I chaired the Technology Committee of the NCCALJ and I plan to continue to leverage my experience in this area to work hard on behalf of all of North Carolina’s citizens. I believe that a strong commitment to the continued improvement of court technology affords a great opportunity to provide increased access to justice. That opportunity is important to those of us who reside in urban areas, but also has the opportunity to yield enormous dividends to North Carolinians residing in more rural areas of our state. The NC Equal Access to Justice Commission staff played an integral role in ensuring that NCCourts.gov would improve our ability to connect with citizens who need to utilize court services. Information is presented in a variety of formats, including videos and cartoons, so that users who learn or access information in different ways will have the best opportunity to interact effectively with the court system. The website is not static and we look forward to continuing to utilizing it as a tool to continue improving access to justice as we implement other technology solutions that will afford more opportunities to our users. At the appellate level, I believe a good judge is faithful to the rule of law and applies legal precedents with integrity and intellectual honesty. First and foremost, an appellate judge must be faithful to the principles of justice, equality, and fairness. This means treating all litigants equally, no matter their power, wealth, prestige, or lack thereof. A good judge should be hardworking, respectful of his or her colleagues, and always polite, honest, direct and forthright with counsel arguing cases. When precedent is well-supported and clear, an appellate judge must follow that precedent even if they might wish the law were different; and when the facts as found by the court below are well-supported by the evidence, the appellate judge must accept those facts as true even if they might have found the facts differently if they were the trial judge. Finally, where there is no clear applicable legal precedent, the appellate judge must not shy away from using sound legal reasoning to decide what the law is on that point. A good judge should uphold the integrity and independence of the judiciary, avoid impropriety, and faithfully follow all of the canons of the North Carolina Code of Judicial Conduct. I am seeking this position to serve the people of North Carolina because I believe in the importance of our state courts. My background in civil and criminal litigation, including conducting jury trials in state court as well as having argued cases in state appellate court gives me an appreciation of the importance of the rule of law, and the need for equal justice under law. But the qualification I hope voters will most evaluate is whether I can fairly and faithfully apply the law equally to everyone whose case comes before the Court. I believe my record demonstrates that I have an unflinching dedication to the principle of equality before the law. My career representing hard working individuals, families and communities throughout this state has given me the experience necessary to uphold the Constitution and the principles it embodies, without fear or favor. I see the role of candidate for elected office and judge as two very different roles. I know how to be clear about which hat I am wearing at any given time and to act accordingly. For example, for nearly half my career I have been employed by or been the executive director of non-profit, non-partisan organizations while simultaneously being active in various capacities with the Democratic Party. I know when I must be strictly non-partisan and when partisan activities are appropriate. Similarly, I was an appointed official on a public body, the North Carolina State Board of Elections. When deciding issues that came before the Board, it was my responsibility to be strictly non-partisan and independent in my judgment. As a Deputy Assistant Attorney General in the Civil Rights Division of the US Department of Justice, I was a political appointee with the role of crafting and carrying out the current administration’s civil rights policy. At the same time, I was also charged with upholding the law and representing the United States as a litigant consistently across administrations. As a public official, I had to exercise my best judgment about what the law required, even if that conflicted with desired administration policy. In short, the North Carolina Code of Judicial Conduct spells out clearly what Judges must do to be independent, and how to conduct themselves while campaigning for office to maintain that independence, and I will achieve the balance of being an independent Judge and an elected official by faithfully following the requirements of that Code and any relevant case law interpreting it. Our state constitution provides for the election of judges and I believe judges are ultimately held accountable to the people. We are at a critical moment in our state and nation’s history. Our basic civil rights and values are being threatened. Politicians at every level are attacking the independence of our courts in order to maintain their power. Our state legislature eliminated judicial primaries, made all judges run in partisan elections, took away public financing, and eliminated judgeships on the Court of Appeals. They are engaged in an attack on our system of justice and checks and balances. It is an attempt to rig the courts to favor Republicans and their special interests. The North Carolina State Constitution carefully sets out the appropriate balance of power amongst the three branches of Government in this state. I believe the people are best served by that system of checks and balances which ensures that each branch carries out its appropriate role and checks the power of the other two branches. We cannot allow the independence of our courts to be threatened in favor of entrenching the power of a privileged few. As a Supreme Court Justice, I will work hard to uphold the constitution, to protect our civil rights, and to guarantee that everyone who comes before the court gets a fair hearing. North Carolinians deserve an independent court where the rules are the same for every North Carolinian, not just political insiders or those with great wealth and power. We are at a critical moment where our basic civil rights and values are being threatened. Politicians and powerful corporate special interests are trying to influence and politicize our courts to stay in power. I am running for one simple reason – so that our judicial system lives up to the basic promise of equal justice under the law and to protect the rights of every North Carolinian. I served on the North Carolina Equal Access to Justice Commission because I believe that the biggest changes North Carolina needs to make to its judicial system is to improve access to civil justice for all citizens. Currently many people cannot afford legal representation to meet basic legal needs, which impacts their access to housing, employment, education, and family security. With regard to our criminal justice system, eliminating racial disparities, promoting demonstrated programs that divert youth and young adults from the criminal justice system, and restoring adequate funding to the indigent defense services are just a few of the changes that North Carolina needs to make. I know what it means to a family and to a community when the judicial system fails to live up to the promise etched in stone above the entrance to the US Supreme Court – the promise of Equal Justice Under Law. My passion for justice comes from my experience growing up in a mixed-race family. My father is black and my mother is white. When they met and fell in love in Missouri, it was illegal for them to be married. But my family persevered despite the odds against us and taught me the values of hard work in the face of adversity. And like many families, we’ve also gone through some tough challenges. I know personally what it is to demand justice and experience the devastation when it is denied. Twelve years ago my brother was murdered in a rural area of Washington State. He had served 10 years in the Army and earned the honor of being buried in a military cemetery. After the rifles were fired in salute at his funeral, I stood before my family and promised to fight for justice. But I was ultimately unsuccessful. I was given two reasons why the local authorities would not prosecute the person who murdered my brother. One reason was that this was a rural area and murder prosecutions are expensive. The second reason I was given was that no jury in that county would convict a white woman of killing a black man. After this experience, I struggled to find how I could continue to be a civil rights attorney and believe in the notion that the courts are an avenue to obtain equal justice. Ultimately, I realized that I just had to work harder to find justice for everyone in this world. That the only way to honor my brother and my family was to continue to represent clients whose rights have been violated and to continue to seek justice. So I founded the Southern Coalition for Social Justice, in order to bring communities together across the south and work to make a difference in people’s lives. The touchstone of my voting rights work has been an effort to guarantee that everyone has the right to vote and that every vote counts equally. Now I’m running for the Supreme Court because I believe we are at risk of losing the independence of our courts in this state. North Carolinians deserve to have a fair and independent court that upholds the rule of law and protects all North Carolinians no matter their race, gender or how much money they have in their pockets. Justice should not be reserved only for those with power and influence. That’s not what our judicial system is about. I have seen how members of the Supreme Court in North Carolina, and in other states, have taken appropriate steps to improve the administration of justice by highlighting reforms that increase access to justice in civil courts and by supporting initiatives, such as the Actual Innocence Commission, that have brought justice to persons wrongly convicted in criminal courts. I will work to bring light to the ways in which our system currently does not ensure equal access to justice for all and to be part of solutions that move us closer to that goal. I believe that ensuring equal access to justice also requires maintaining an independent judiciary without undue and inappropriate influence by powerful special interests in the legislature or by wealthy corporate interests. I will work to help establish, maintain, enforce and observe standards of conduct to ensure the integrity and independence of the judiciary. I believe that my inquisitive nature and pursuit of learning would make me a good choice for Associate Justice of the North Carolina Supreme Court. As an attorney, I have worked in a variety of practice areas, which has given me experience with the various types of cases that North Carolinians all around the state participate in every day. I have done this because I have a genuine interest in learning about the law and how it is done in a practical sense. As a solo-practitioner, I have had to go out and learn things on my own. I have worked in areas such as real estate closings, estate planning, represented court appointed criminal defendants, construction litigation, business cases, employment and even areas as obscure as veterinary malpractice. I have done these types of cases at every level of state trial court and civil cases in federal court. 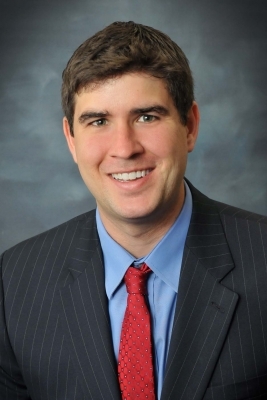 I think my practical experience as an attorney and the issues which face North Carolina citizens and businesses makes me a good choice for the North Carolina Supreme Court. I am running to stand for an independent judiciary and the checks and balances of our Constitutional Republic. Every day, we see an assault on the independence of the judiciary at a state and federal level. I could no longer sit on the sidelines as an American and a Millennial. An independent judiciary is one that is separate and co-equal from the legislative and executive branches. While judicial races are partisan, being a judge is different from being an elected official in the other branches of government. Once elected, judges should be inherently apolitical, and their decisions should not be impacted by their political affiliation. If elected, I will base my decisions on the Constitution, written law and prior precedent and not advance a personal agenda. A North Carolina judge is ultimately responsible to the North Carolina and United States Constitutions and the people of North Carolina. They are public servants and that role is exactly like it sounds, they are meant to serve the public no matter who the member of the public is. The branches of government need to adhere their roles that were prescribed to them by the Constitution and our Founding Fathers. They are meant to be co-equal branches of government and the branches should not be straying into the responsibilities of the other branches. One change which needs to be instituted is that each trial court judge at the District and Superior Court level, needs to be assigned a full-time clerk who is a licensed attorney. Currently, clerks are generally only available to judges at the appellate level and on the Business Court. The lack of clerks can create a major backlog because oftentimes the trial judges have no support in their research and writing of opinions or being able to go through the evidence that can be submitted during motions and/or trials in both criminal and civil court. This would reduce the workload on the judges and provide a quicker turn-around time for litigants. In other states, it is common for trial level judges to have full time clerks. Another change I would advocate for is that electronic filing be available in all North Carolina counties. There are currently approximately only five counties where this is available out of 100 in the state. They are pilot programs and e-filing may be available statewide in the next several years. It is also available for appeals and the Business Court. E-filing should be implemented as soon as possible because it would make the filing process more efficient. It would eliminate the possibility of documents getting lost in the mail, getting filed in the wrong file at the courthouse and would allow most documents to be viewed online. Electronic filing and document viewing is now available for property records in almost every county in the state. Some of those documents go back before 1800. E-filing is also available in most states and has been the mandatory filing standard in federal court for more than 10 years. I define justice as parties being given a level playing field when they are involved in a court case, whether it is criminal, civil, family or any other type of case. This is whether the parties are individuals, small or large businesses or the government. The resources available to a person or an organization should not be determinative of the outcome of the case. It should be based on the facts and the law. 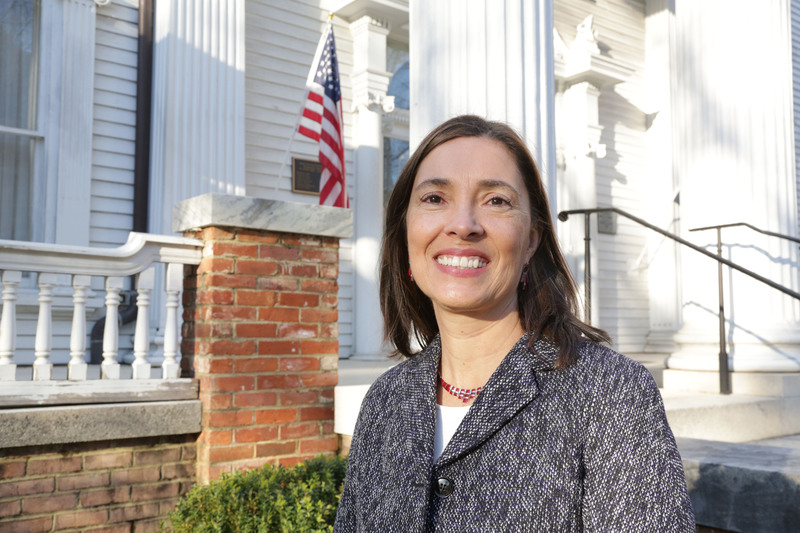 I would seek to ensure equal access to justice by making sure that the decisions I write are done in a fair and balanced manner which follows the Constitutions of North Carolina and the United States. Also, as an Associate Justice of the North Carolina Supreme Court, I will encourage the legislature to propose an amendment to the North Carolina Constitution where parties in non-criminal cases will be provided a lawyer if they cannot afford one. The voters would then be given the opportunity to vote on this. Currently, only criminal defendants have a Constitutional right to a court appointed attorney. There is a huge discrepancy in the outcome of cases where one party has an attorney and the other party does not have one and they represent themselves. This is called being pro se. I believe that providing attorneys to pro se litigants will go a long way in providing equal justice for all. It is crucial to provide attorneys for parties in cases such as domestic violence, evictions, debt collections, wage theft by employers and other types of cases where people generally represent themselves. Currently, free legal organizations such as Legal Aid can only meet a fraction of the demand and their funding is being decreased.